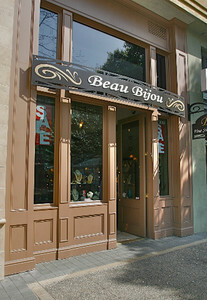 Beau Bijou defines unique style in jewelry. It took thousands of miles, countless journeys, to various cultures and exotic places around the world to personally hand pick rare gems for our exclusive Beau Bijou line. As well, our extensive travels around the world and throughout America have enabled us to discover the inspirational designers of exceptional pieces of jewelry, which we proudly represent.